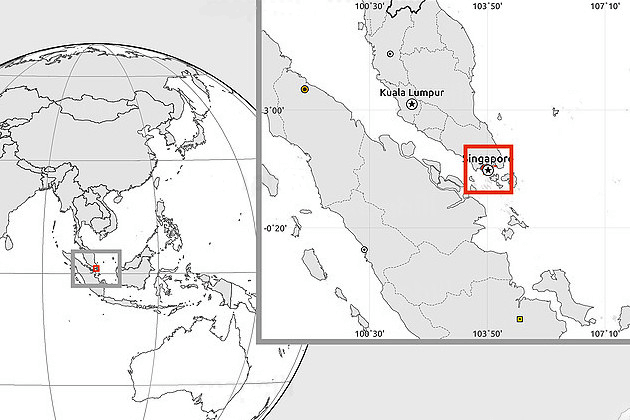 Singapore is located in the south of the Malaysian Peninsular and is the smallest island nation in Southeast Asia. Singapore is a dynamic and colorful city and has a harmonious combination of culture, cuisine, art, and architecture. In Singapore shore excursions, travelers will admire and enjoy the city known as the greenest and cleanest in the world. Also, there also are various choices of cuisines from Malaysia, China, India … and Western countries. 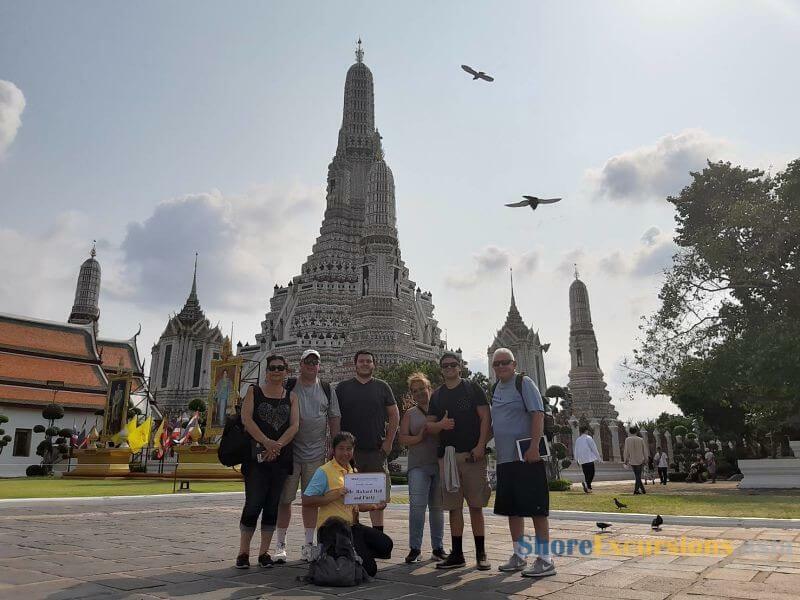 Asia Shore Excursions offers many Singapore day tours and shore excursions for cruise ship passengers docking at all ports in this country. 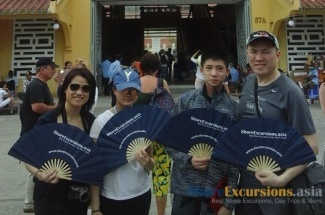 Have a look at our ready-made Singapore shore excursions. If our recommended Singapore day tours do not fit your needs, please contact us. Then, we will help you tailor-make a unique Singapore shore excursion that exclusively for you. 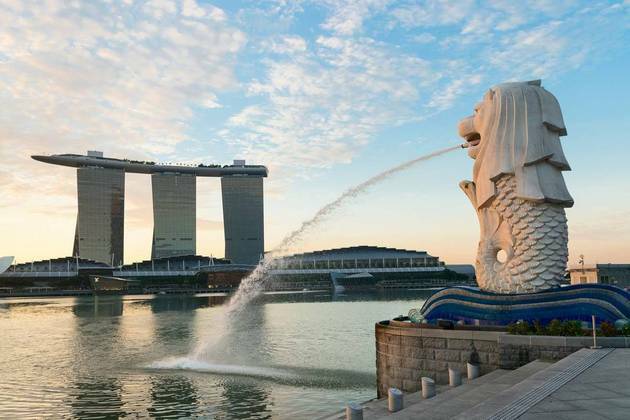 Not just a tiny island as you can see on the map, Singapore has plenty of reasons to become one of the best destinations in Asia Shore Excursions. This bustling city will mesmerize you with wonderful attractions, fantastic activities, savory cuisine, and incredible ethnic diversity. Singapore shore excursions have more than a huge modern shopping center changing surprisingly from sunrise to dark night. With an epic transformation, Marina Bay had moved “from rag to rich”. 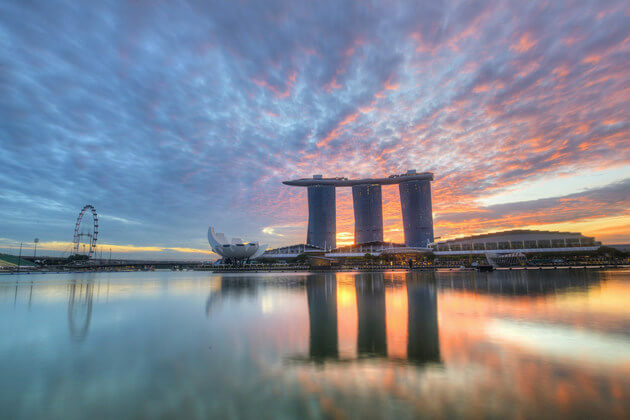 Be considered as the center of the country and the entrance of Singapore River, the bay is a real proof revealing the magical change of Singapore from a minuscule country becomes the most luxurious destinations in the world. A visit to Marina Bay from a Singapore shore excursion or day tour will include many popular attractions such as Financial District, Clarke Quay, and Civic District. 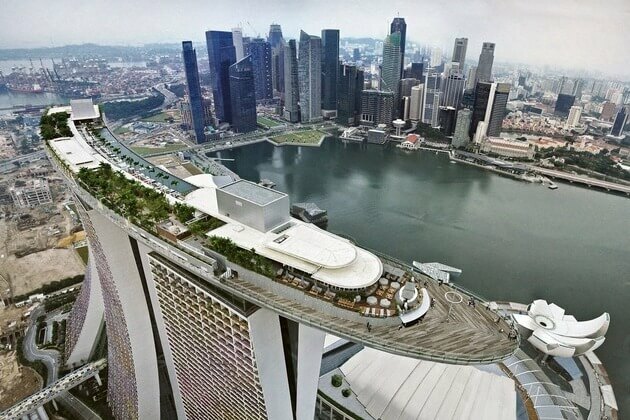 Moreover, this area is home to luxury hotels, glass-front skyscrapers, beautiful landmarks, and spectacular Marina Bay Sands resort that is difficult to ignore. 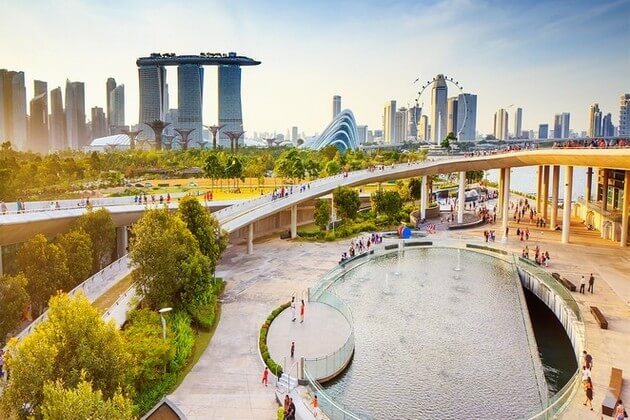 The bay is the featured business area of Singapore where you can taste the cosmopolitan vibe by strolling along large clean pavements or soaking in lines of high-end stores, crowded subway stations, swanky restaurants, and rooftop bars. Don’t miss the fantastic light show – the combination of light, water, and iconic landmarks behind. 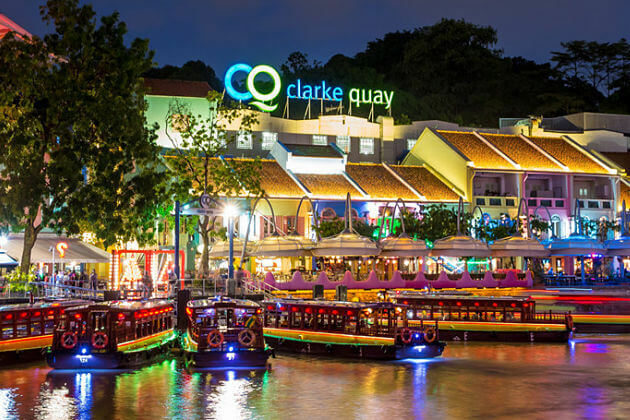 Clarke Quay is undoubtedly the most vibrant center you can see in Singapore shore excursions which are lined up by bars, restaurants, high-end stores, and nightclubs. Its location in the body of water emerging from the main river brings many advantages that charming the area with alfresco-style structures set around the edge. Famous for dazzling lights, beautiful girls, and buzzing clubs high up all night long. A visit to Clarke Quay is worth your Singapore day tours from cruise ship with the mix and match of colorful light, modern lifestyle, provocative clubs, gorgeous girls, luxurious bars, and more. Move under the futuristic, explore several wonderful shopping malls as well as a plentiful of bars, create a paradise for bar-hoppers. Be the first ever amusement park of this kind opened in Southeast Asia, Universal Studios Singapore had attracted millions of tourists coming from Singapore shore excursions to explore over 20 attractions with highlights are Ancient Egypt, Lost World, Hollywood, New York, Far Far Away, and Madagascar. Besides, the seven themed sections with endless rides and shows will lure all your day away. The park brings the breath of the fabulous USA. 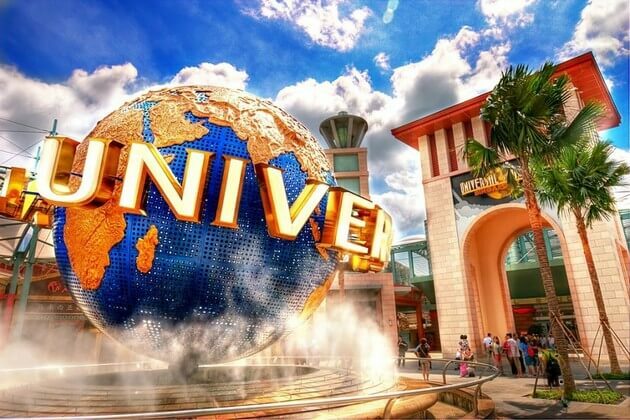 Like almost all place you will visit in Singapore day tours, Universal Studios also has various shops for those who want to bring some souvenirs or toys for children, friends, or just to satisfy your hobby. Right to the name, Hollywood is built to imitate the real one, while New York is inspired by the tangible city. Head to Sci-Fi city to enjoy the tallest roller coasters in the world, then visit the Ancient Egypt where you will freeze at two massive guard statues. For more thrilling feeling, experience the ‘Revenge of the Mummy’ ride, a game typically for adults but also a wonderful trail for young kids. 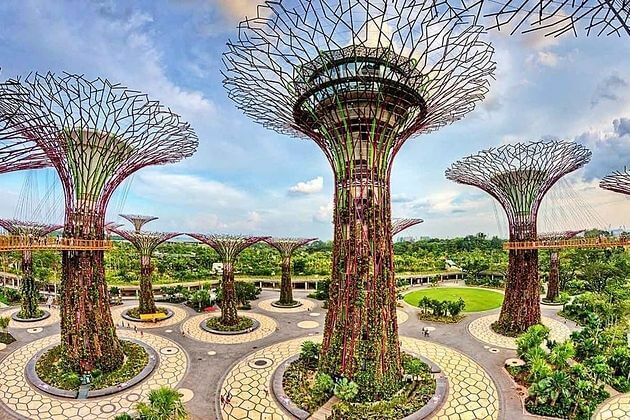 One of the must-see attractions in Singapore day tours and shore excursions, Gardens by the Bay is a huge, lighting, colorful, bustling park in the bay of Singapore. Overview of the garden is filled up by steel trees towering over the gardens with a dozen in the center, and the other six structures are placed in other parts. These high metal structures are covered by over 200 species of plants and flowers that become the protagonists of the light and music shows. Moreover, giant-sized seashell-shaped greenhouses with mountain climate are home to an ocean of trees and plants, creates a spectacular sight that can mesmerize every one of all ages from kids to adults. The Cloud Forest building provides a panoramic view of the whole gardens with a lift brings you from ground to the height of 35 meters. Have a visit to the Flower Dome where you can hop on a journey around the world learning about plants such as Baobabs from Africa, Kangaroo Paw from Australia, and Olive tree from Spain. Mention to Singapore day tours, people usually think about the paradise of high-end shopping malls scattered around the city. But with those who want to explore the traditional culture of this country, or just to buy some cheap local souvenirs, where they can go? The answer is China Town. Stroll along the quaint streets, witness old man playing board games while chatting loudly about plenty of topics such as weather, daily life, news and have a cup of classic tea. Soak in bustling fresh markets, hawker centers, stunning temples including Buddha Tooth Relic Temple and Sri Mariamman Temple. The town is in the heart of Singapore that can easily access by public transport. Get around on foot to taste the pristine atmosphere that every second in China Town is like a scene from the movie of life. There is nothing human can’t do. Sentosa is real proof. You can’t believe that this gorgeous island is completely man-made. 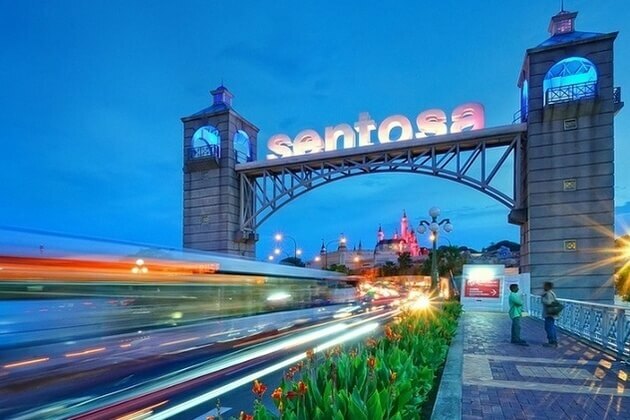 Served as a place for leisure and relaxation, Sentosa Island is one of the most popular destinations in Singapore shore excursions. Just a few minutes riding from the enigmatic city, the island is a paradise to escape the bustling city, soak in the sparkling white-sand beach, and dip into the beautiful clear water. The island provides various popular attractions including the famous Universal Studios, Butterfly & Insect Kingdom, Resorts World, Tiger Sky Tower, Cable Cars, MegaZip Adventure Park, and especially must-visit topical beaches. Taste some more thrilling feeling by enjoying the roller coasters or rewarding yourself with a walk on the side of the water on the stunning beach. Siloso Beach offers several conveniences for playing and having fun such as iFly Skydiving, Wings of Time audio-visual show, Sentosa 4D Adventureland, and Madame Tussauds wax museum. 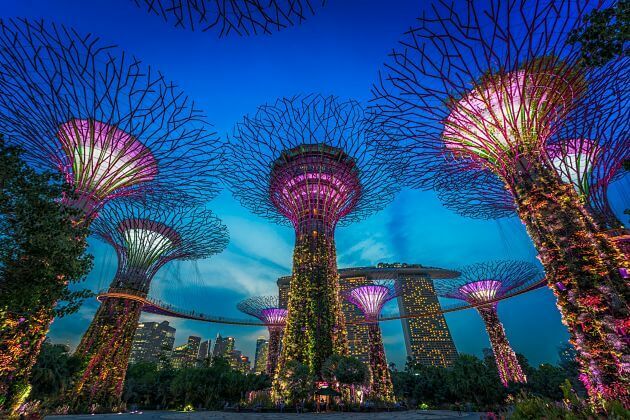 Considering tourism as a major industry and contributor to the Singaporean economy, Singapore has been doing lots of things to please their tourists. Clean and modernity are two shortest terms we can use to describe this Lion City. They give us not only a fresh and green environment which will make all the visitors be the envy with but also the most modern and efficient transport and communication systems along with English are spoken widely in Singapore, which makes nothing but comfort for the tourists. Moreover, the Singapore Tourism Board also promotes a wide range of events all year round for visitors. No wonder why such a young and small city-state as Singapore can attract foreigners that more than 3 times of Singapore’s total population, is the 13th out of 136 countries overall being ranked in the Travel and Tourism Competitiveness Report 2017 and the third best in Asia. One more unique thing about Singapore is that tourists can visit this destination throughout the year. There is no period of time in the year that too dangerous for tourists to come as other countries. 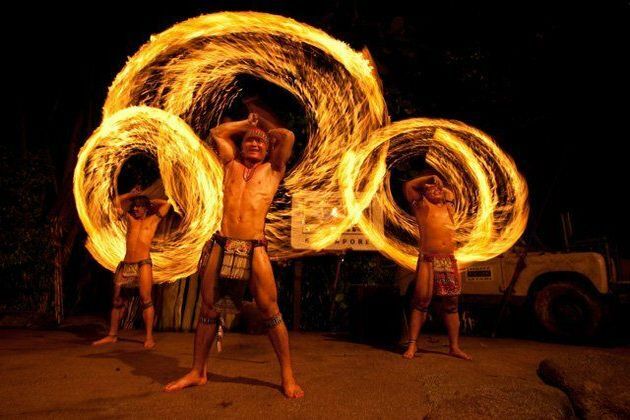 In your Singapore Shore Excursions during your long day tours Asia Shore Excursions, the significant character and specific festivals of each month in Singapore should be noted down for visitors to have the best and the most careful preparations which will be listed below. With an average rainfall of 238 mm in January, the rain falls will last for about 18 days. Therefore, remember to always bring an umbrella and another pair of shoes with you. However, with the warm temperature which just from 23°C to 30°C during the day, at least you do not feel cold even in the rain. January is such a typical month of the wettest and windiest one in Singapore. While the chance of a cloudy day is about 80%, the chance of rain is only about 40%. However, if you head to the south coast and the shoreline of the Java Sea, you may get some sunny days. Luckily, in this month the average sea temperature is plenty warm - 28°C that you still can swim and play some water sports. Therefore, the Singapore Shore Excursions is not for sun-lovers, especially who have a plan to spend all day sunbathing in the cruise ship. However, a wide range of tourists still travels to Singapore in January because of its festivals. Three important Singapore's festivals are all held in this month which are New Year’s Day, Thaipusam and the Chinese (Lunar) New Year. Like other countries, the first festival occurs on the first day of the new year which is also the national holiday of Singapore. The Thaipusam will start in the early hours of January 24 which last over two days. The last one is the most unpredictable one because it will base on the lunisolar calendar which makes it can happen in January or February depending on each year. In 2017, this 15-day festival was held on January 28, for example, and in 2018, it happened on 16 February which can be searched easily on Google. The easiest way to understand a country’s culture is to join in their festivals by yourself. 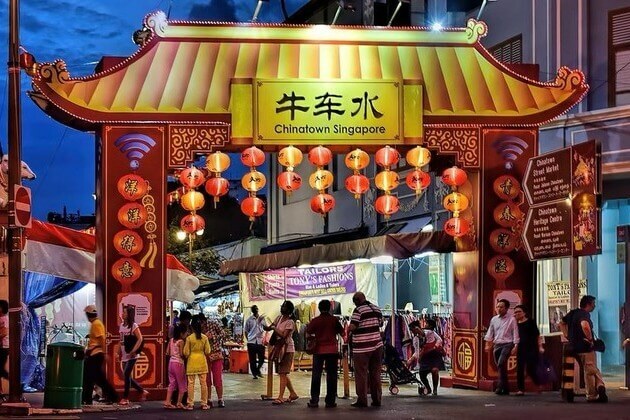 You won’t want to miss these three significant religious festivals of Singapore with traditional meals – the lavish meals in the New Year’s Day or the colorful chariot procession of the Hindu festivals as well as a variety of floats and performances such as stilt-walkers and lion dancers. The number of rainfalls drops significantly to 165mm with less rainy days than January – 13 days will please the rain-haters visitors. Therefore, you can have more sunny days with average daily temperature is at 27°C. The temperature is much nicer with the lowest humidity. Even the temperature of the sea is just about 28°C – very ideal for tourists to spend more time in the water. To take advantage of this less rainy days, tourists are suggested to visit the islands or somewhere is nearby the sea that whenever there is sunshine, they can immediately jump into the water. Even if you are bad luck and it rains all day, you still can enjoy numerous indoor activities and shopping. Therefore, comfortable clothes such as shorts, T-shirt are suggested and remember to use sunscreen and a hat to be protected from the sun every time you walk down on the street on your Singapore day trips. Besides the Valentine’s Day as other countries, in February, Singapore has the River Hong Bao festival which includes a variety of show in which top local and regional artists perform and merchant kiosks and so on. If you want to be a part of this extravaganza, remember to note down and arrange your Singapore day tours not to miss it. Being the official end of the northeast monsoon season, March in Singapore is the beginning of spring with warm temperatures all day long - 27°C is the average. Even though the amount of rain falls is higher than the previous month – 17 days, seven hours of sunshine each day still give you the chance to have a full exploring day. This month is still a great time of the year to start your Singapore day tours. 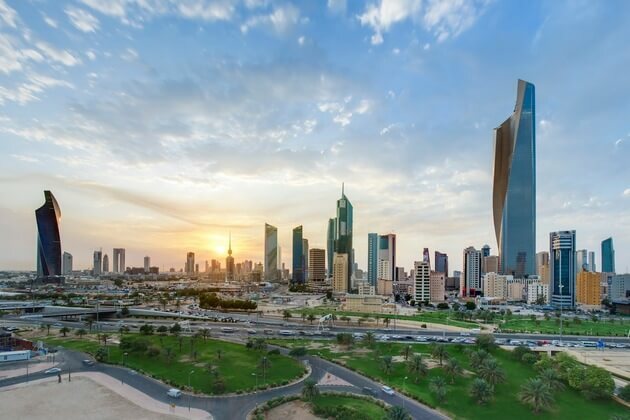 At night and in the early morning hours are the ideal time with great temperature for tourists to sit out at a street-side bar or café, enjoy a cold drink as well as relax in the fresh air of this green city. This month include various festivals that can interest the art-loving people such as Singapore International Jazz Festival, Singapore Design Week, St. Patrick’s Day Street Festival and Good Friday and Easter. 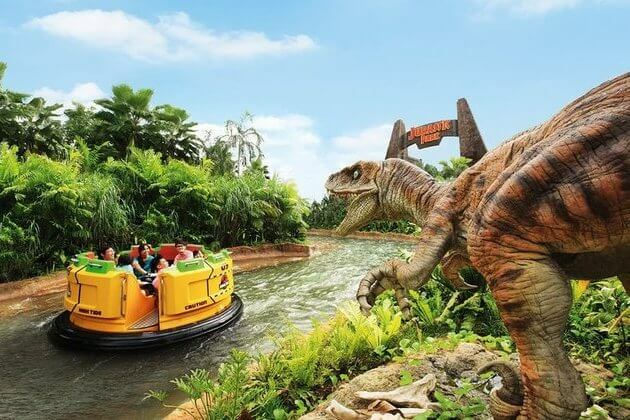 If April is the month that you decide to start your Singapore Shore Excursions, you should not for the sun lovers because of the over 20 rainy days in the month. However, this month sits between the two monsoon seasons and is a great time to deep into the awesome sights of the island which the Sentosa Islands is highly recommended. Why? 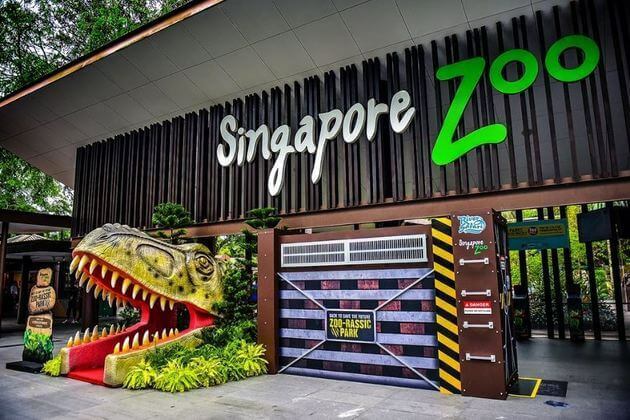 Because this island has many indoor activities and options for tourists that are not affected by the weather such as the Underwater World Singapore, Dolphin Lagoon, Butterfly Park and Insect Kingdom and so on. Or you just simply sit in a restaurant to enjoy the various cuisines or take an umbrella and walk slowly under the rain in the warm temperature, enjoy your own peaceful! 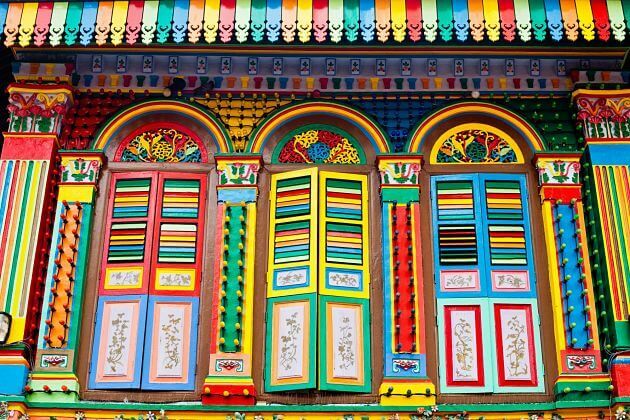 Qingming Festival, Singapore World International Film Festival, and World Gourmet Summit are three significant festivals that if you want to understand more about their religions, international film worldwide as well as Singapore's cuisines; you definitely do not want to miss them! There is nothing change much about the rainy days – 19 days as well as the average daily temperature (27°C) in May, nine hours of daylight each day still give the chance to the lucky tourists to have the whole days enjoy the sunshine. However, because of the clearing fires burning in Sumatra, May also brings the smoke and haze that tourists have asthma or the elderly and small children have to wear masks all day to be protected. So, those tourists should think carefully to start their Singapore day trips in this month. An umbrella, sunscreen and now the masks are suggested to bring along just in case. However, many tourists still decide to travel to Singapore this month because of a wide range of festivals such as Vesak Day, Singapore Spring Fashion Week and Singapore international festivals of Arts. June is the remark month for the official beginning of the southwest monsoon season which makes showers and thunderstorms happen more frequently. The smoke haze maybe continues in this month that the face mask is needed as well as to protect yourself from the searing heat and sunshine also. However, the excellent public transportation system will let you easily travel from place to place without getting soaked even under the rain. So do not care about the rain and still go wherever you want to especially where to have a roof, as long as you bring all the necessary things with you – the umbrella, the sunscreen, and the face masks also. 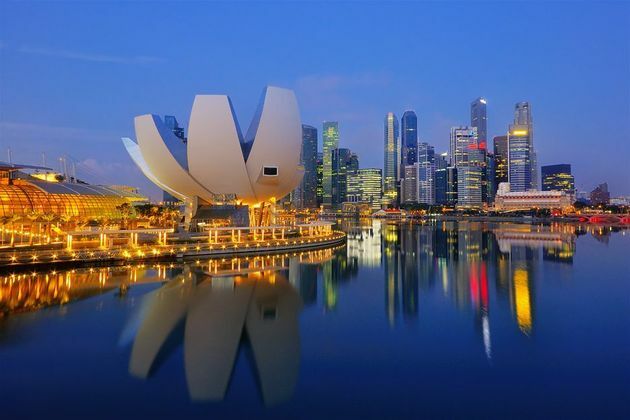 June is said to be one of the best time to visit Singapore, especially for those are shopaholics because of the Great Singapore Sale which discounts of up to 70% off the usual prices. Moreover, the Dragon Boat Festival and Ramadan – the festival of the Muslim also happen in this month that many tourists always choose this month to be there beginning of the Singapore day tours. Even though the rainy days are still high – over 19 days, we at least have the decrease about the rainfall this month – only around 150 mm. Therefore, just a portable umbrella is enough to keep you relatively dry. However, it is important to remember when preparing for your Singapore day trips is that the face masks are still needed in this month for those who have breathing issues. The rain cannot stop Singapore from holding various festivals to please their tourists which are Singapore Food Festival, Racial Harmony Day as well as the Hari Raya Puasa. Still being in the southwest monsoon season, Singapore in August has heavier and thunderstorms during your Singapore Shore Excursions. Because the only changing in August than July is the amounts of rainfall which increases to 171 mm compared to 150 mm in July. However, a variety of indoor activities still makes tourists forget about the time and lose yourself in it. This month is a very special month, especially for the local people here because of the National Day. Besides that, the religious festival which is the Hungry Ghost Festival attracts a wide range of tourists coming here. Basing on the calendar, September should be the start of autumn, however, the real weather in Singapore says differently. The highest temperature of the day still up to 31 °C, there are still 18 days of rain through the amounts of rainfall is slightly decrease to 163 mm. Besides, despite the strong wind in the morning, no jackets or cardigan is needed thank to the warm temperature. Your Singapore day tours will not complete if you miss the festivals of this month which are the Lantern Festival and the Singapore Grand Prix – one of the biggest events of the year in Singapore. October is the beginning of the northeast monsoon season. While the average temperature makes no significant difference, 191 mm of rainfall and 21 rainy days over the month makes at least a few rainy days during your Singapore day tours. Storms often occur in the evening with showers are sudden and heavy within a short time. Tourists are suggested to always have in mind a backup plan in case the rain is too heavy or just wear a raincoat and continue your plan thanks to the modernity of public transportation. 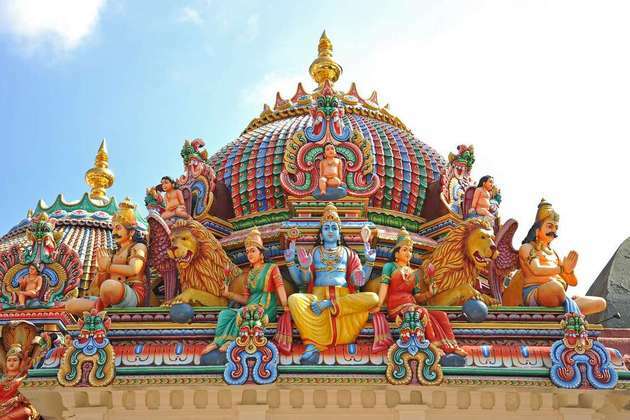 The month of the various religious special day – the Hindu – Deepavali and the Chinese communities – the Nine Emperor Gods Festival are the main reason attracts tourists coming to Singapore in this month for their Singapore Shore Excursions. As of October, November is just around the corner of the northeast monsoon season. It seems like the only feature that makes November different from October is the significantly changing in the amounts of rainfall - 250 mm compared to 191 mm in October. Therefore, besides the umbrella that is necessary, another pair of shoes and shocks are needed to always keep your feet dry. You are the writers, you are interested in Singapore’s literature? Or you want to experience by yourself the magicians, comedians and so on of various street performers? Your Singapore Day Trips will be not fulfilled if you miss the Singapore Writer’s Festival and the Singapore River Busker’s Festival. December is outstandings of being the highest rainfall of the year – 269 mm with over 25 rainy days as well as the most humidity and the lowest amount of sunshine because this month marks the official start of the Northeast Monsoon season. These changings make Singapore a little bit colder than other months. So depending on your tolerance for cold, you might need a jacket or cardigan through the nighttime hours or early morning. If you are an active person that you want to join a beach party or you want to try a brand new experience of Christmas Day in other countries; this month is such an ideal time for you to start your Singapore Day Tours with various festivals such as the ZoukOut party or the Orchard Road Christmas Markets, Christmas Day and the New Year’s Eve. Religions: Buddhist 42.5%, Muslim 14.9, none 14.8% and so on. It is such wonderful news for the tourists coming from 80% of countries worldwide can enter Singapore without visa required, as long as they stay here under 90 days. The specific limited time varies in different countries. 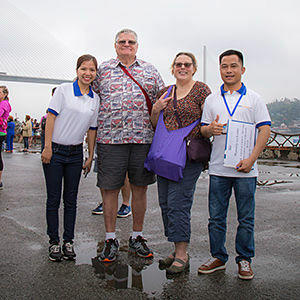 Therefore, the visitors who go to Asian Shore Excursions, in particular, will have no worry in their long journey from other Asian countries to this world’s smartest city. However, the citizens that come from one of the Assessment Level I and II countries or regions will need a visit if you want to visit this Lion City. However, there is still an exception to them. For example, Georgia and Uzbekistan are both the countries in the Assessment Level I list, however, the holders of diplomatic and official passports in Georgia and only the holders of diplomatic passports in Uzbekistan do not need a visa to enter. If the other travelers have difficulty in doing the visa, they are advised to go to the closet Singaporean embassy for further information about visa requirements. Besides, there is still some demand for the passports such as six months are the validity of their minimal passports beyond the date of departure or certain countries should be given a vaccine of yellow fever and two blank passport pages are required for entry stamp. Moreover, tourists should know that 20,000 Singapore dollars are the currency restrictions for both entry and exit. The tourists especially the English speakers will never feel out of touch with home or the rest of the world while you can read a wide range of local and international publications in English. The best part is that they can make international phone calls every time, everywhere even in the islands or in the cruise ship of the Singapore Shore Excursions or in the city with the standards of online access are the same and an affordable rate. There are over 60 SingPost post offices throughout Singapore, about 250 self-automated machines and all of the major international courier companies have offices in Singapore which will be very convenient for you to send parcels and packages within the country or overseas. Besides many international courier companies, there is also a wide range of local courier companies who only deliver small packages and documents within Singapore. However, most of them allow customers to arrange collection and delivery online, as well as to track the progress of your delivery. 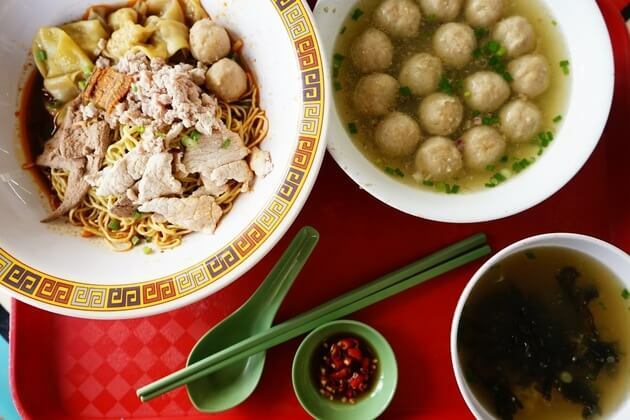 Therefore, whenever you find traditional and fresh cuisine in this world’s safest country during your Singapore day tours which cannot last long, for example, your wish to share it to your family, your friends can happen right away. Singtel, Starhub, and M1 are really excellent at providing mobile phones services and coverage, especially all over the island. All of the three have both the pre- and postpaid packages for you to choose. Tourists can buy them easily at convenient stores, some ATMs, AXS station and online. All over Singapore, there are a variety of public phones that coins, pre-paid phone cards, and credit cards can be used. However, most of them are just for local calls only. During your Singapore excursions, you need to find the call boxes to make international calls. Being the most “technology-ready” nation, Singapore has ultra-fast broadband. Wi-fi and 3G covers throughout Singapore at a reasonable price. Connecting will never be an issue! SingNet, StarHub and M1- three majors internet service providers (ISPs) are the best suggestions for tourists. According to a study by London consulting firm Credo, Singapore has one of the most cost-efficient public transport networks in the world. Mckinsey’s Urban Transportation also ranks Singapore’s transport system as the world’s best overall based on five aspects – availability, affordability, efficiency, convenience, and sustainability. No wonder why transportation in Singapore is very diverse from economical public transport such as buses and trains to taxicabs, ferry services, and airplanes. Moreover, there are still some trishaws left just to attract tourists. Therefore, there is a varied range of choices for you to go wherever you want to. Even though the transport within Singapore is mainly land-based, the port of Singapore was ranked the world’s busiest port and the best seaport in Asia. Only when coming here, especially in the Singapore shore excursions, during your Singapore day tours; you can directly experience the hustle and bustle of the ports here. Step out of the past being British’s colonial, Singapore has transformed into a cosmopolitan city-state that now becomes one of the dragons in economic development in not only Asia but also the whole world. Due to its stable economy, Singapore tours always require the more expensive cost than other Asian country’s standards. Check out the Singapore travel guide below to spend a perfect time in Singapore tours and also save your wallet. Accommodation in Singapore can be listed as one of the most expensive prices in the region. A bed in a hostel starts from 15 SGD per night with free Wi-Fi, breakfast, and some linens. A room in the 2-star hotel costs around 45 SGD with air-conditioning, private bathrooms, free Wi-Fi and TV. The services you will experience in most Singapore tours are pretty good that 2-star hotels are acceptable. More luxury hotels cost twice as the 2-star ones with excellent services and facilities. You should search for hotels at a suitable price on the internet before visiting Singapore. The cuisine in Singapore easily lures every grumpy man away. Due to the cross-culture between many countries, all kinds of food around the world are gathered here, especially Chinese and Indian food which normally cost 8-9 SGD per meal. 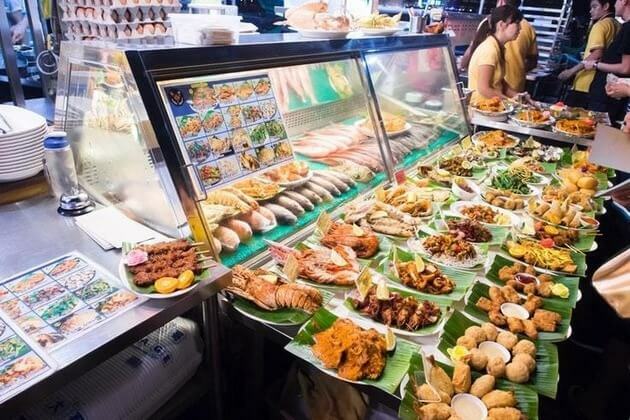 Street food in Singapore is also a good idea with various stalls selling delicious dishes with cheap price – less than 6 SGD per meal. If you want to find something more special, try the seafood in restaurants start at 20 SGD for casual meals, and up-to-sky for the most luxurious ones in the world. Cooking by yourself is not a bad idea to save your money: 7 SGD for pasta, vegetables, meat, chicken, and so on which you can easily find in supermarkets around the city. Same as other developed countries, Singapore offers the usual system of buses and taxis around the city. However, the most common transportation is the Mass Rapid Transit (MRT) running the length and breadth throughout the country. The further you go, the more cost you pay. MRT ticket is depended on the distance, generally is around 4 SGD. 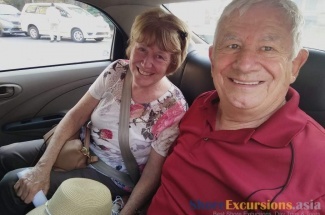 If you want to take a Singapore Sightseeing Tour on vehicles, hop on the Singapore Tourist Pass which you can travel as much as you can within a fixed time. The price for 1-day traveling is 10 SGD, 2-day is 16 SGD, and 3-day is 20 SGD. For overall, activities in Singapore are not really expensive, especially some public places are free including Singapore Botanical Gardens and Bukit Timah Nature Reserve. Entrance fee for Gardens by the Bay is 28 SGD, Singapore Zoo is 48 SGD, Universal Studio is 76 SGD (cheaper for children and seniors), and Singapore Adventure Waterpark is 34 SGD. Street food in Singapore is delicious and safe for eating. The best way to save your wallet is by enjoying meals on cheap food streets such as Little India and Chinatown. Besides, food stalls also provide products with an acceptable standard. You just have to spend only a few dollars for a meal in these places. 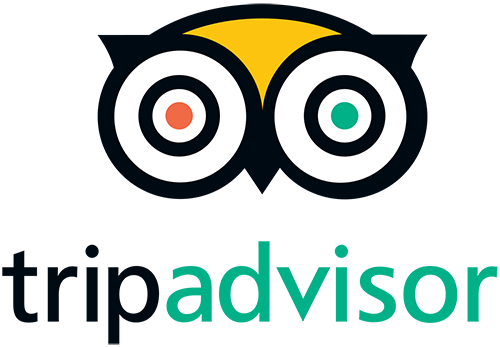 Dishes you should try: frog porridge, Bah kut the, Hainanese chicken rice, curry laksa, Tau Hua, Nasi Lemak, chili crab, Char Kway Teow, etc. The cheapest type of stay overnight in Singapore is couch surfing. Staying overnight at local houses is a good idea to avoid paying dozens of money for a room in hostels. Locals here are friendly and helpful that they are willing to share extra beds for free. They can also be the best guides for you when staying in Singapore who clearly knows about where to go, which to enjoy, and what to eat. Many restaurants, bars, and coffee shops in Singapore offer a happy hour in which the drink and food are discounted at a reasonable price. Alcohol and sweet drink are expensive that you should think twice before order. Besides, in a happy hour, they also provide buy one get one free deal. Let make a party with friends with an acceptation from your wallet. Singapore is a modern and green city with an extremely low level of environmental pollution. This country is one of a few countries in Asia which have safe tap water to drink. So, buying bottled water is unnecessary. The government also encourage using your own bottle and refill it to avoid the bad habit of throwing plastic bottles after using. This action can save the environment and help you to save your money.